But I have been a bit cautious about offering perspective on this situation. I have many friends and clients that reside in this region whom I dearly care about. These dear colleagues live and work in the nations touched by these issues (Ukraine, Russia, Belarus, and the many states that were born in the collapse of the USSR) and interpret the facts of these events very differently. But with the recent developments concerning the church in Ukraine I finally feel compelled to at least attempt to provide some reflection on the situation. January 6 was a very peculiar Christmas eve for those that live in the Orthodox Christian world. In Istanbul the head patriarch of Orthodox churches issued an official decree to establish the Orthodox church in Ukraine appointing the young Bishop Epiphany as the spiritual leader of the newly independent Orthodox Church. (https://www.theguardian.com/world/2019/jan/05/ukraine-new-orthodox-church-gains-independence-from-moscow) . Many nations (such as Serbia, Bulgaria, and Romania) have their own independent Orthodox Churches with their own national leaders. 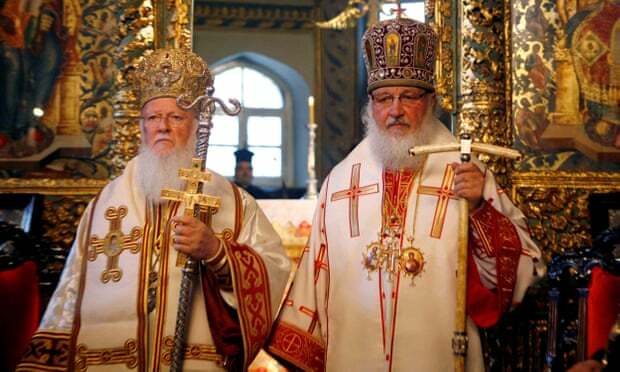 However, until this last weekend the Orthodox Church in Ukraine had been under the authority of the patriarch in Moscow since the 17th century. Considering the longevity of this spiritual relationship, this recent declaration of independence by the Ukrainian church from Russia is at least is big as Ukraine’s political declaration of independence with the dissolution of the USSR in the 1990s which- in the broad scope of history- was a short-lived project lasting less than one century. Of course, there were politics involved in the issuing of the decree. The Ukrainian government has long held that the Russian controlled Orthodox churches were nothing more than “listening posts” for the Kremlin. In the meantime, the Russian government has called emergency meetings fearing the seizure of what they consider as sovereign Russian property inside of the political boundaries of Ukraine as a result of this decree. It all sounds much like many of the crises faced in Western Europe in the Medieval period such as when Emperor Henry IV clashed with the Pope over the extent of power of the German state. So, like these similar Medieval dramas, the Russian Orthodox church has now broken communion with the global Eastern Orthodox churches much like the Roman Catholic church broke away from the other Christian churches nearly one thousand years ago. I have really been chewing on this issue as I have been trying to integrate these recent events into my own “Western” understanding of the history of the region. As such, this is all really too much for a single post, so I plan to drag this out over several smaller missives 😉. In my next post, I want to reflect on the shared history of Ukraine and Russia. In the post after that, I want to consider the events and experiences that created and refined Russia’s distinct world-view. In the post following that one, I want to consider the events that have formed and shaped Ukraine’s unique world view. And in the final post(s) I want to think about what this all mean for Ukraine, Russia, and the world today. I would love comments on these posts- particularly from my friends and colleagues who live in this situation that I will discuss. I am also open to rebuke and correction though I will honestly take into consideration your sources. Above all, if these posts do generate discussion, it is my hope and prayer that perspectives are offered in love and empathy that lead to understanding the different sides of this very complicated situation.